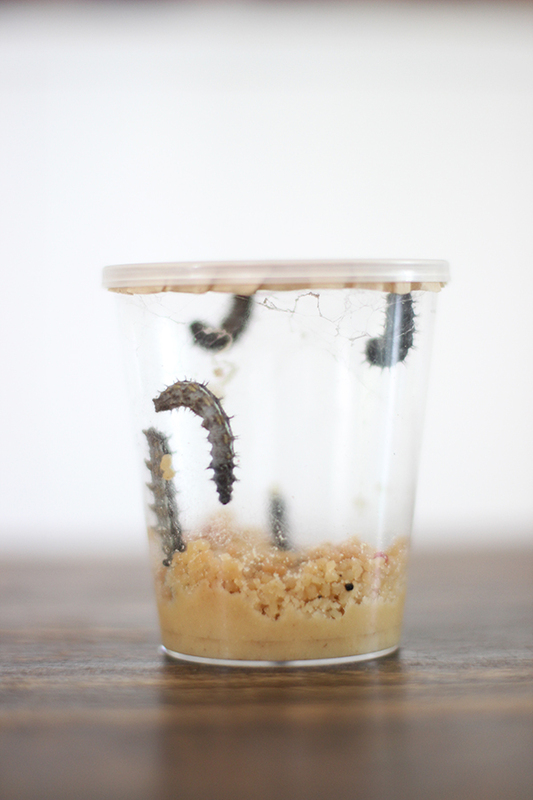 We were sent a Gribblybugs pot of five Painted Lady caterpillars in a pot with their food and a care sheet. The caterpillars were tiny when they arrived but quickly grew – the pot sat on our kitchen table where we could watch their progress. After a couple of weeks of feeding, the caterpillars made their way up to the lid of the pot, where they hung in a ‘J’ shape before shedding their skin to reveal their golden crysalis. After a few more days we could carefully peel the papery inner lid off the pot (with the crysalis attached) and fix it to the inside of the butterfly cage, ready for emergence. 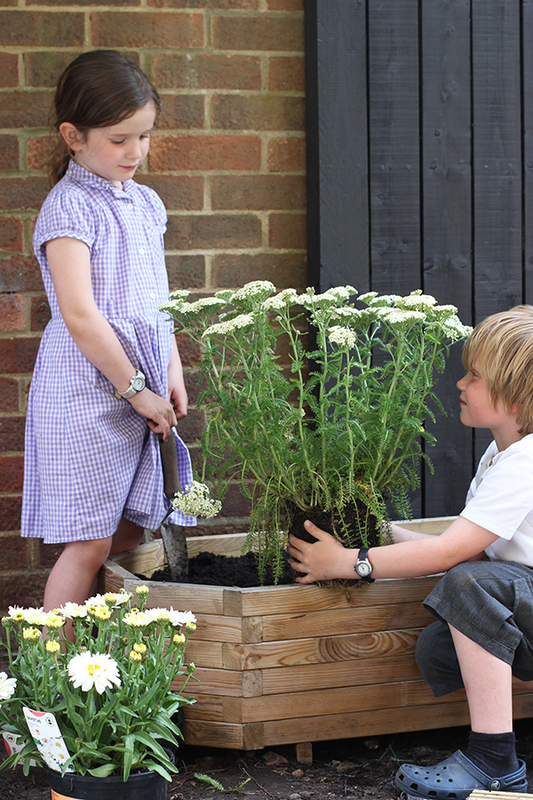 While we waited, we got on with planting our butterfly-friendly garden so it would be ready when our butterflies arrived. 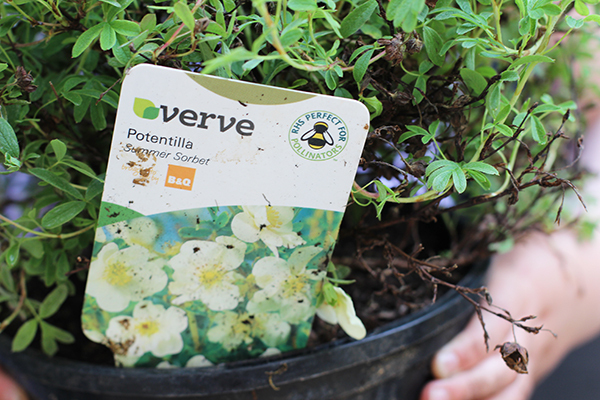 The ‘Perfect for Pollinators’ labels on the plants at B&Q were really helpful when we went shopping, especially for a garden novice like me. 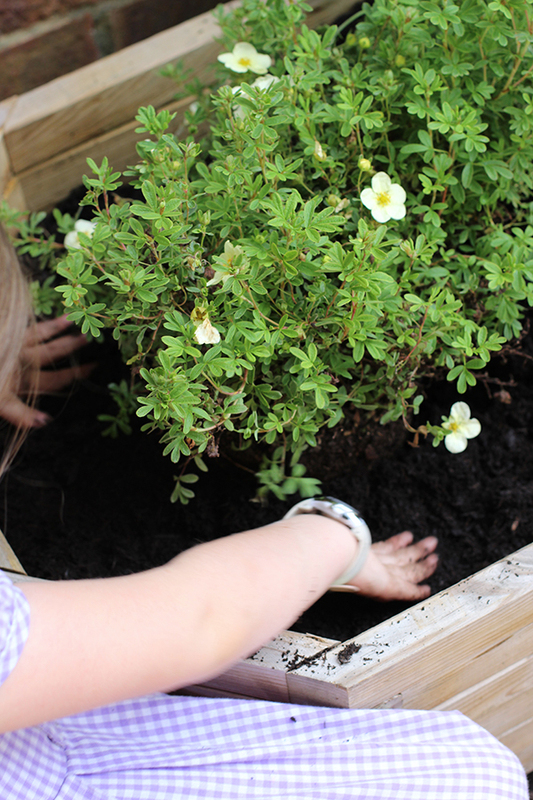 We planted what we’d bought in a big planter using peat-free compost (again from B&Q) and we were only just in time, because a day or so later we got to meet our first butterfly! 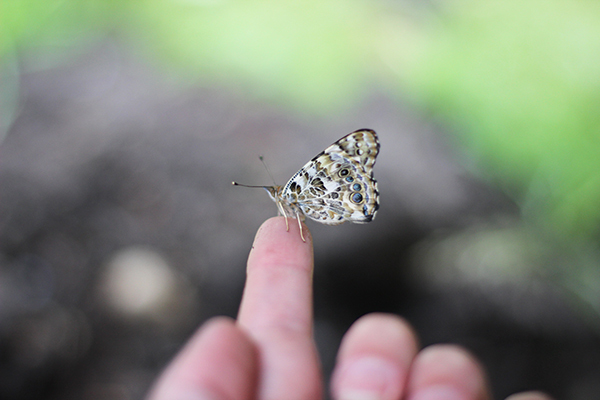 All our butterflies emerged within about a five-day period – we spotted the crysalis change colour just prior to emergence, but we missed the butterly crawling from the case every single time. It happens so quickly, I’d go back to check on progress and suddenly there’d be a butterfly hanging from the top of the cage, resting until its wings had set hard. 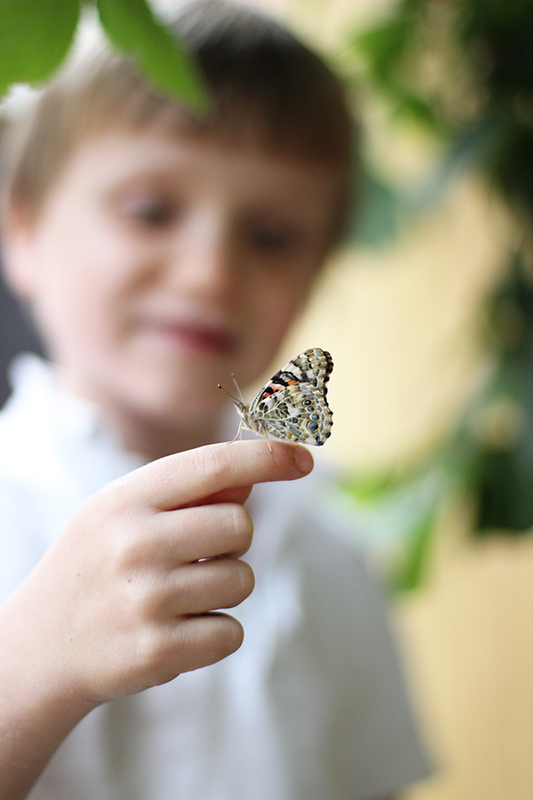 We’d observe each one for a while, before releasing it onto our butterfly garden outside. 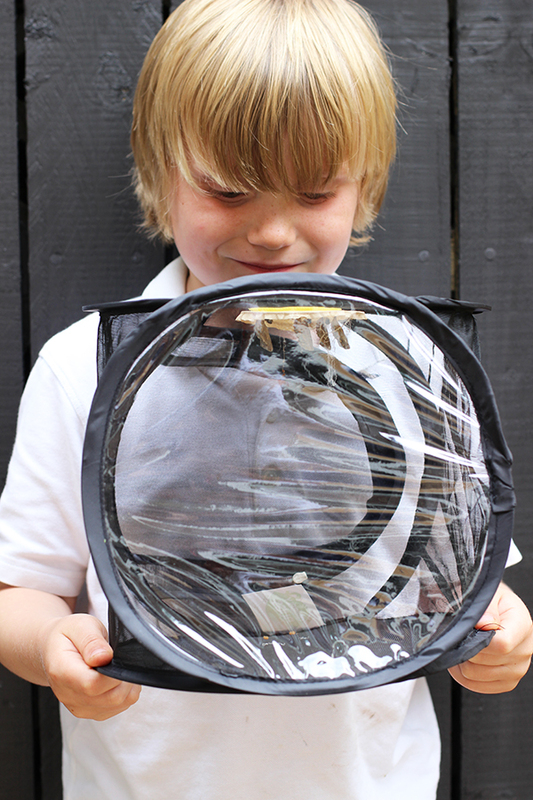 This project really captured the twins’ interest – both of them took the empty crysalis and some photographs of our butterflies in for Show & Tell at school, and I would love to repeat the exercise again next year. 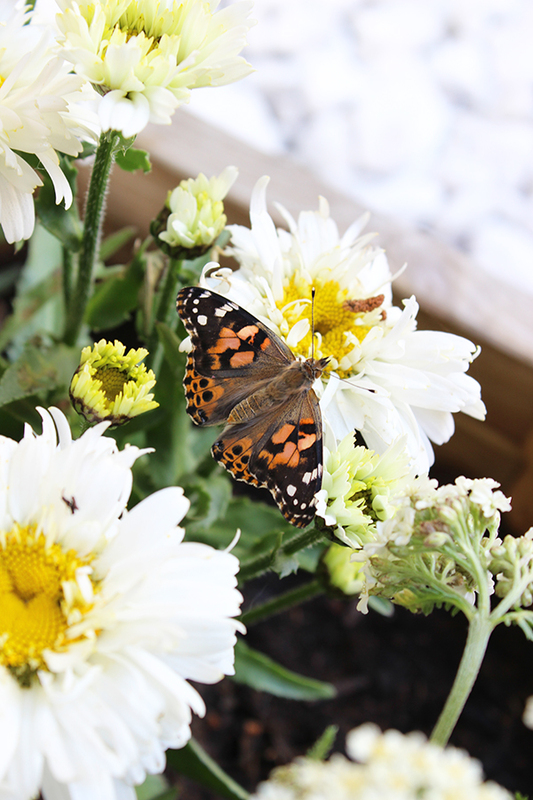 All of our Painted Lady butterflies have gone now, but the butterfly-friendly plants are still thriving, so we’ll keep our eyes open in the hope that we can spot some more butterflies and log them on the Butterfly Garden Survey.